With grateful hearts we celebrate the life of Roop Verma an internationally respected sitarist, composer and accomplished teacher of Indian Classical and Sacred music. 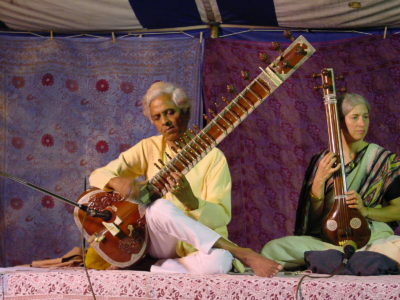 Roop Verma passed away this weekend and was a key supporter of Legacy’s Global Music Programs. Roop Verma’s training comes from two of the greatest masters of our time, Maestros Ravi Shankar and Ali Akbar Khan. He has lectured and taught at major universities on three continents and has delivered celebrated concerts in some of the most prestigious concert halls they have to offer. Among his reputable outreach in music are the healing music and meditation seminars he conducts throughout the world. Our condolences to his wife Tracy, son Arjun (an accomplished sitarist) and daughter Uma.